The Wicomico Youth and Civic Center has a regional reputation for being a great place to hold or attend concerts, family shows, trade shows, sporting events, meetings and receptions. It is known to offer unparalleled service, fair prices, outstanding food, and clean & attractive facilities. Annually, the WY&CC hosts over 400 events, draws over 200,000 attendees and Encore Catering (our in-house catering) serves an average of 20,000 plates. Local meeting, reception, and trade show planners have an array of options from which to choose within and outside our service area. 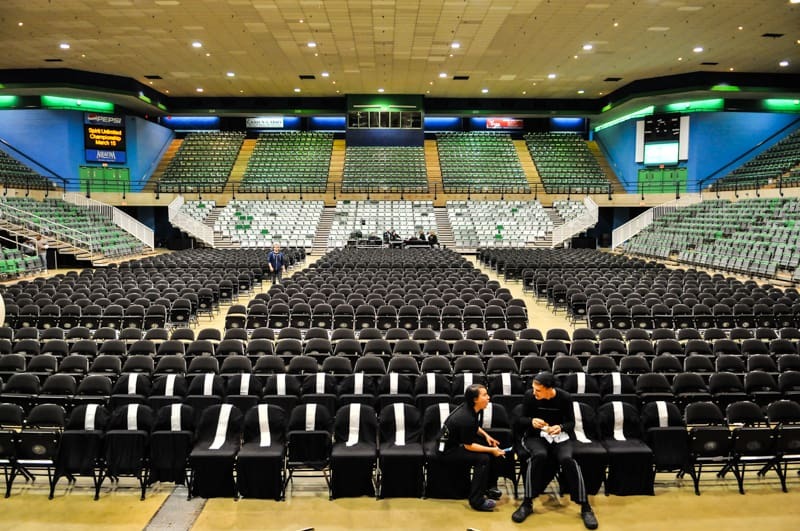 There are 29 similar venues within the immediate marketplace (a 250 mile radius) that are competing with the WY&CC for concerts, family shows, trade shows and sporting events. Furthermore, there are over 80 similar venues located within a days’ drive. This does not include arenas operated by colleges and universities.